I found Mase Consulting to be very professional in the way they operated. They were careful to check both client and candidate requirements to ensure a good fit. Mase followed everything up as requested and kept me fully informed during the whole recruitment process. I found the team to be very supportive and helpful. Mase Consulting are very knowledgeable about the industry and a professional team to work with. They really look to understand your needs and career objectives. Throughout the process Mase Consulting were always approachable, prompt and supportive, offered invaluable advice and guidance through all the interview stages, and was instrumental in positioning me with my new employer. I strongly recommend Mase Consulting, should you be looking for a recruitment partner who really does go the extra mile for their candidates. Mase Consulting reviewed my experience and skills through a detailed two way discussion process that provided me with a comprehensive insight of their client, the culture, its people and particularly its ambition. Mase really sold the business to me at the same time challenging and gaining an insight into my values and behaviours in order to establish if I was a fit with the organisation. I have no hesitation I recommending Mase Consulting to clients and candidates. The team were enthusiastic and at all times, they demonstrated commitment and maintained a high level of communication throughout the process. Use the format shown in the downloadable template below. This is a format we have found clients respond well to. It’s easy to navigate and gives all the key information required in a clear and concise manner. This format will work for the majority of professionals, however if you’re a creative or design related individual, we’d recommend a CV format that demonstrates your unique creative/design capabilities. Do not write your CV as a story, it makes it very difficult to read and is extremely unengaging. Don’t forget an employer reviews a CV for an average of 6 seconds before making a decision to review it any further. The template provided is adaptable; use your common sense when creating your CV. So for longer periods of employment you will want to include more information and for shorter periods of employment you may include less information. The ‘Employment’ area of your CV is the most important for experienced candidates, as it’s often reviewed first by employers. It is therefore vital that all key details are listed, including your dates of employment, company name, job title, duties and achievements within the role. Add a sentence or two about each employer including what products/services they offer. This will allow new employers to quickly understand the current and previous markets you have operated in. We would advise avoiding the use of any internal jargon or acronyms when listing your duties and responsibilities. Make it relevant to a potential new employer. If you are a sales professional, we would strongly advise including your financial targets and achievements, major project wins etc. If you have a job title which isn’t meaningful to the outside world, we would suggest changing it to something slightly more relevant and meaningful to a potential new employer. For example: if your job title is Specials Quote Technician and you provide estimates for clients, we would suggest you change it to Estimator. The 2 page CV rule is a myth. Although it may be more applicable for fresh graduates with very little work experience, any experienced individuals should have a more detailed CV as this is your opportunity to sell yourself. From our experience a typical CV should be from 3-5 pages long. Ensure your postal address, email address and contact details are up to date. 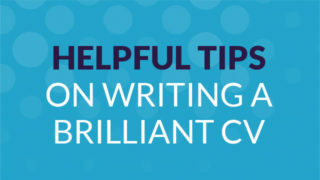 Ensure the finished CV is thoroughly checked for spelling mistakes and grammatical errors. The majority of clients will reject an application should there be continual mistakes. Don’t be worried about trying to memorise all the company information; most employers don’t mind candidates coming armed with a note pad of facts and figures. It should be written in bullet point format and be for your reference only. Try to avoid pages of information and stick to a maximum of one side of A4. If anything, we find clients are more impressed that candidates have taken the time to make notes opposed to just glancing at their company website. We would always recommend you review the profile and background of the interview panel on LinkedIn.com prior to your meeting. This can be extremely insightful and allow you to understand more about the businesses/markets they have worked within and their personal interests. This will help you develop a rapport with the interviewers on the day. No matter what level of role you are interviewing for you will find a large percentage of the interview will focus around you, your skills and past experience. 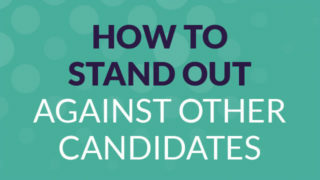 So although it seems an obvious area to prepare on, it’s one which candidates overlook the most. Knowing your CV is vital, as clients will be keen to learn more about what interested you about a certain role, what you didn’t enjoy about the position, reasons for leaving companies, salary package, duties, achievements etc. It is important you’re able to give a good account of your skills and focus on drawing synergy between your past experience and the position on offer. Most clients are looking for related examples and will therefore ask scenario based questions allowing you to draw on your own experiences to answer. Reviewing the job description in detail prior to your interview is critical. It will allow you to not only understand more about the employers requirements but allow you to tailor your pitch in the interview. Naturally it makes more sense spending time talking about the areas of your experience that have the most relevance to the position on offer. Where do they see the biggest opportunities in the market for them to capitalise on? What are the biggest threats in the market? Questions such as the above can be extremely insightful and allow you to gain market intelligence and establish if the future of the role, their market and the business is stable.